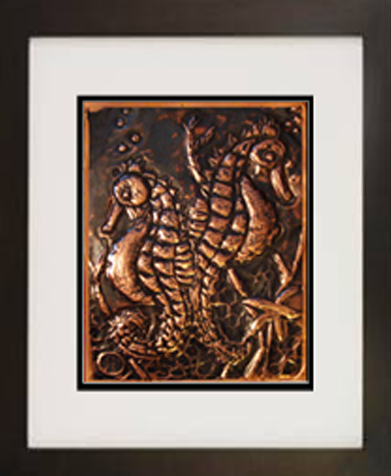 Join Sharon Hofer as she takes step by step through the process of creating this copper tooling project. Guys, you will love this! Sharon will guide you in first drawing the design, then tooling the copper to make it three dimensional and textured. Learn the secrets of turning a flat piece of copper into a fine art masterpiece. She will also guide you on how to stain the copper in order to get the copper to look old and antiqued. This unique form of fine art is sure to impress the people you show it to. Once complete, students will know the steps to create their own tooling projects.